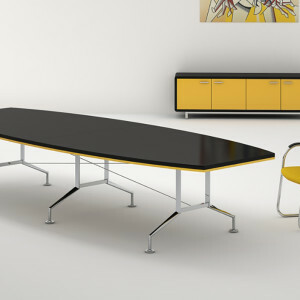 Traditional and Contemporary Tables including 6 standard top shapes and 11 styles of legs and bases. 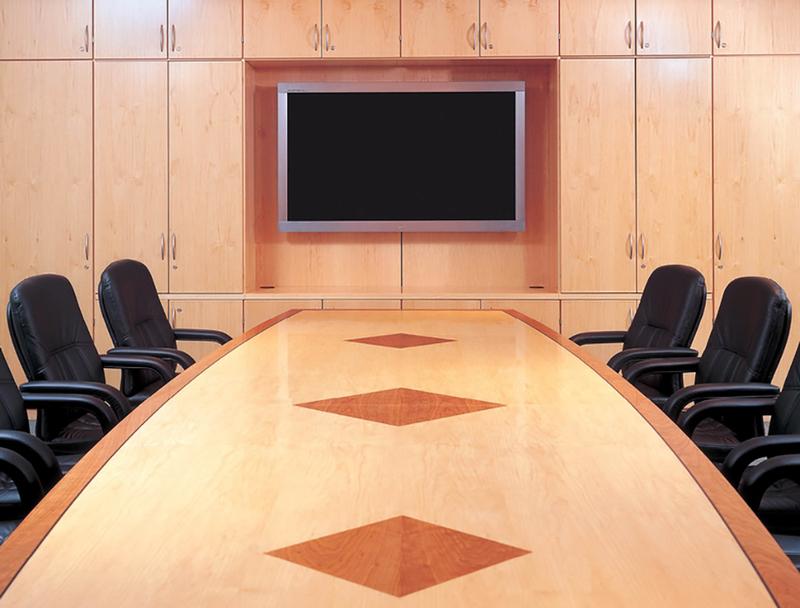 For small Meeting Rooms to large Boardrooms to full Video Conference Facilities. 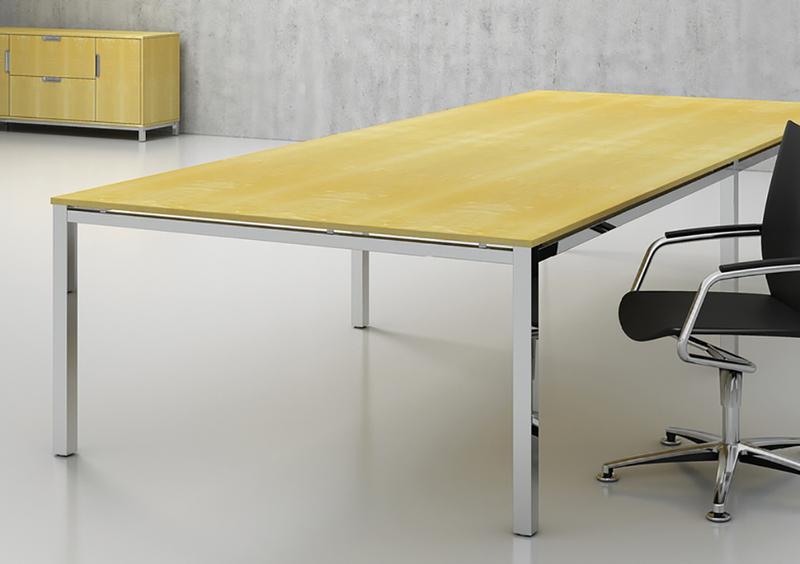 Enhance your table with an excellent range of Cable Management options. Elegant, Modern, highly polished aluminium frames combine with different materials to create stunning yet simple pieces. 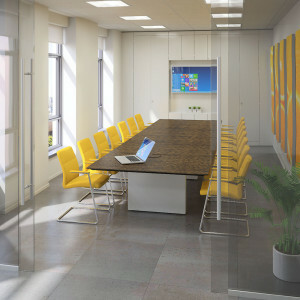 Ensa frames can support virtually any shape and size of top formed in veneer, laminate or glass. Crossbeams are available in Black or Chrome while the angular lines of the leg accentuate its timeless look and showcases true quality and craftsmanship. 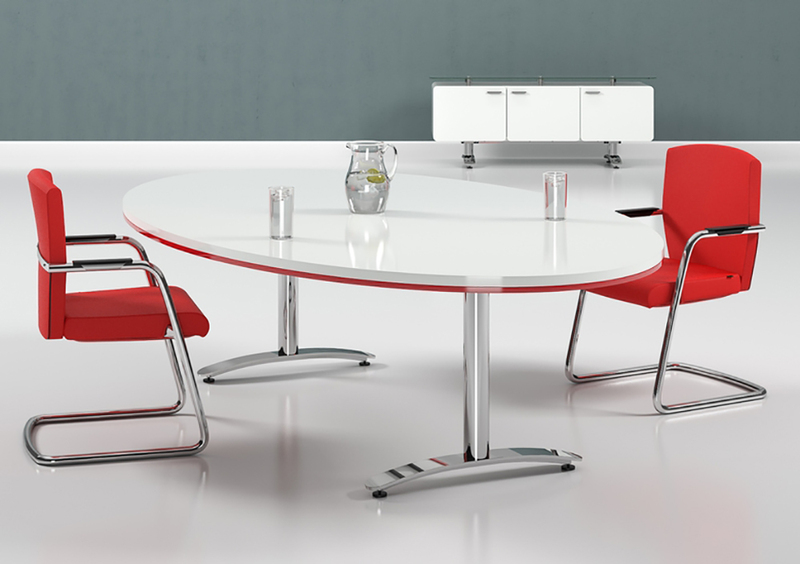 Flite tables are perfect for a truly minimal effect and can be specified in toughened glass tops, laminate, veneer or any combination of the three to create unique designs. The chrome frame has an optional cable riser that takes cables safely and invisibly to an optional connections module that can be fitted in all top types. 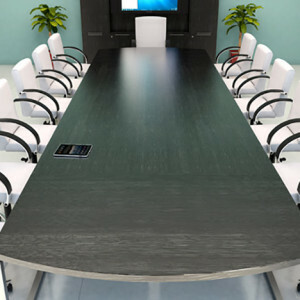 Fulcrum provides the benchmark for high quality conference tables in veneer, solid hardwood and high gloss lacquer. Fulcrum combines an unmistakable presence with unobtrusive yet highly effective provision for cabling and other supporting elements of modern technology. 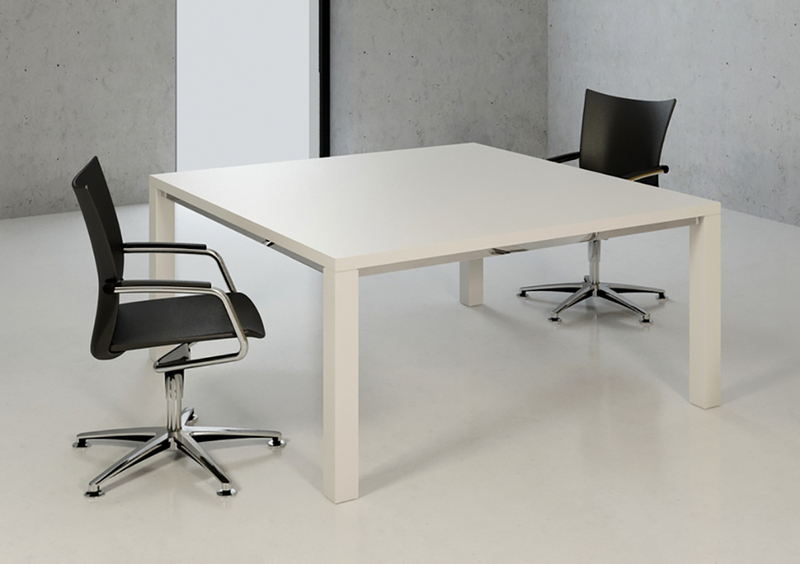 Modern minimal lines and a range of contemporary materials makes Glide a popular choice. 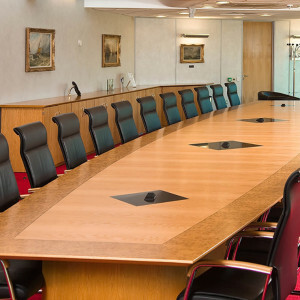 Tops can be manufactured in veneer, laminate or glass and the polished chrome base has an integral cable riser that takes cables safely and invisibly to an optional connections module that can be fitted in any type of top. A double upright leg frame is available to support larger top sizes. 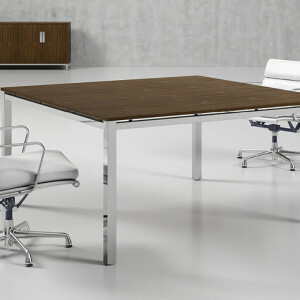 Hyform tables showcase exceptional veneering and manufacturing skills. Each piece is hand finished and our process driven production means we can eas­ily tailor your table. This gives you the freedom to select shape, size, veneers, inlays and edge profiles to create something unique that’s perfect for your requirement. Power, data and AV sockets are available in our Con­nections module for quick access for laptops, projec­tors and with concealed cable management to give your table a performance to match its presence. 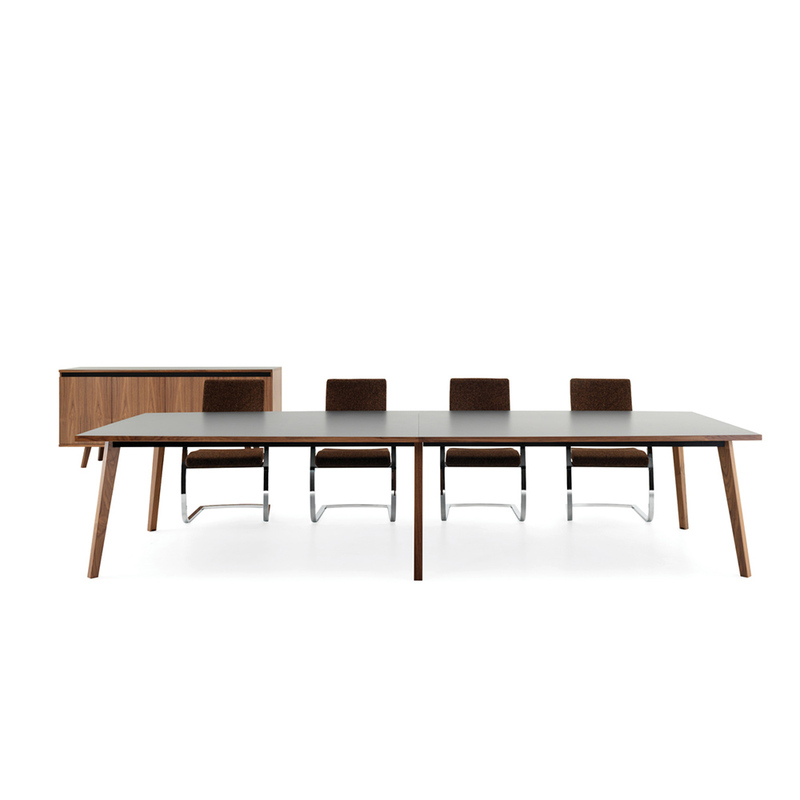 Martin tables are available with either veneer tops with a solid wood edge profile or with laminate tops with a solid wood edge profile. 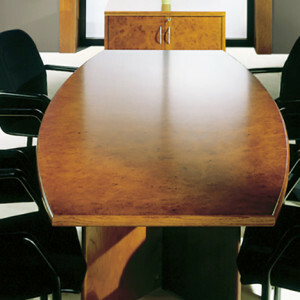 Each top has a curved chamfer on each long edge, providing a unique aesthetic to each and every martin table. 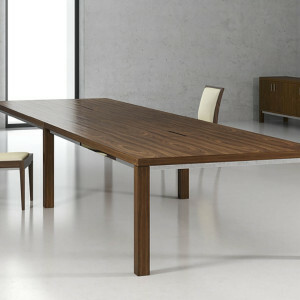 The leg frames are available in either solid oak, or in solid natural walnut timber. 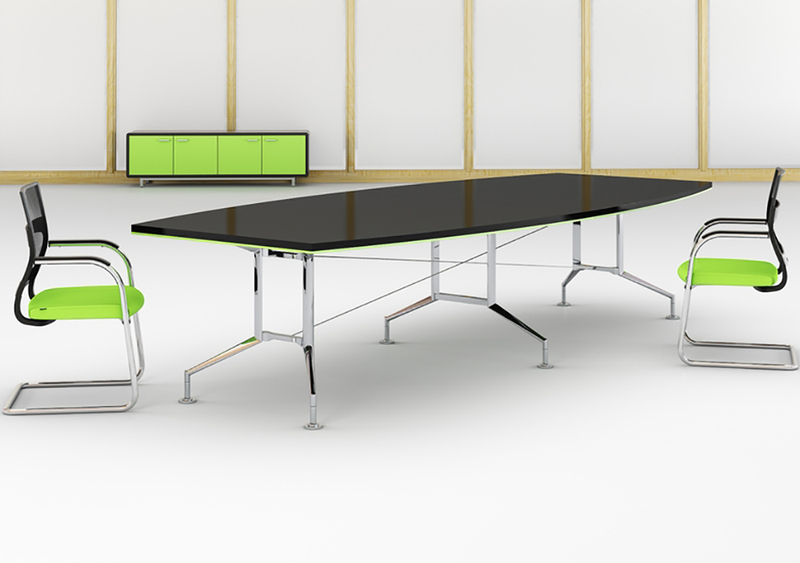 Each leg frame comes complete with height levellers and forms the structural frame for the table, along with the steel support rails in either gloss black or gloss white. A classically inspired table and chair collection with solid Hardwood frames in a choice of timbers with optional chrome detailing. The table leg can be specified with a hidden cableway that takes cables safely and invisibly to a connections module that can be fitted in all top types. A matching solid timber chair is available upholstered in a wide range of fabrics and leathers.